Christmas Markets or to use the German word, Weihnachtsmärkte can be found around the world but none compare to the Christmas Markets in one of their original regions: Germany. 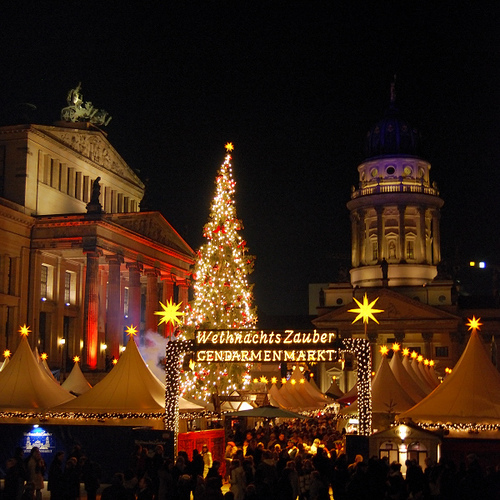 In Berlin alone there are over 60 different Christmas Markets every year! Every one of them has its own charm and still at each of them we can enjoy many of the delicious foods and drinks, mulled wine and roasted chestnuts. Gifts and decorations are available at the majority of markets as well, yet each market has its own niche, often products from local artists. They are a great place to mingle with locals and have a magical atmosphere to them. 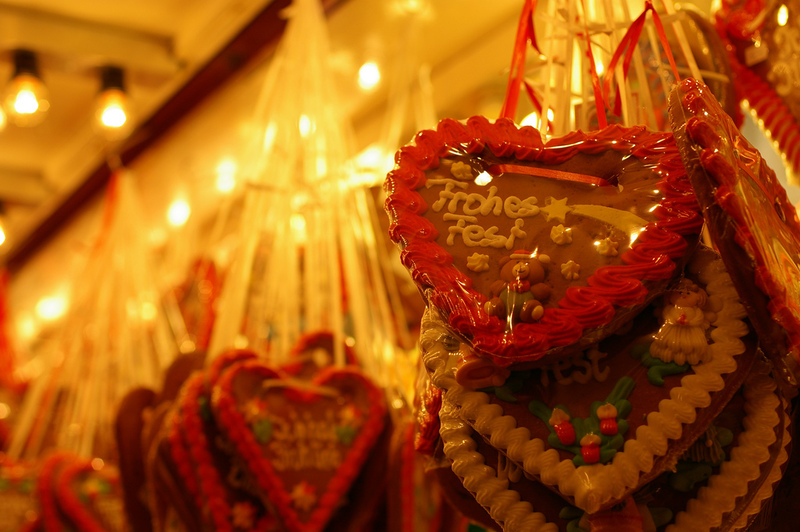 Here, we have rounded up some of the must visit Christmas Markets if your in Germany (Berlin) for the Holidays. 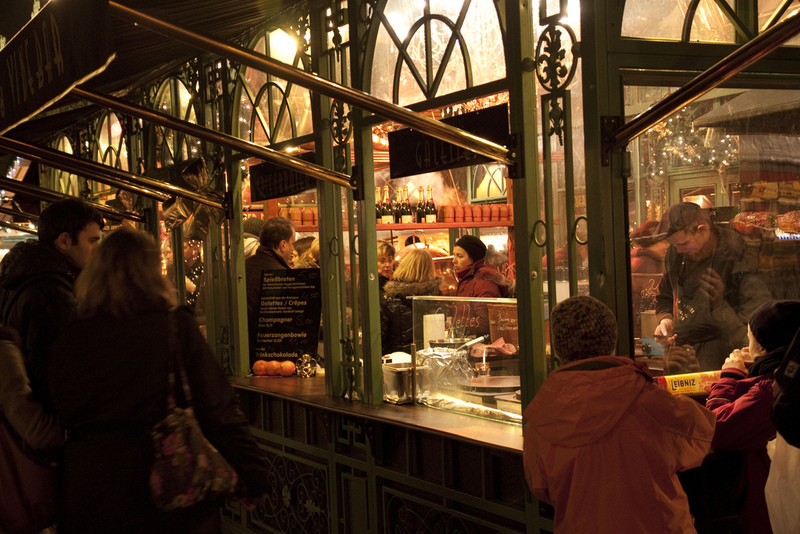 The Charlottenburg Palace Christmas Market is one of the newest Christmas Markets only dating back to 2007. The Palace is lit up with special romantic lighting and features 150 vendors that come from across Germany and from abroad to sell food, drinks and arts and crafts such as miniature Weihnachtspyramiden (Christmas Pyramids) from the Ore Mountains. There are also rides and other entertainment for kids. If you are looking to also visit the exhibits at the castle they are still open during the market. The Gendarmenmarkt is a square in Berlin best known for its three Cathedrals: Konzerthas, French and German Cathedrals. At Christmas time the square plays host to a unique Christmas market with a stage with performances from jugglers, fire artists, musicians and dancers. The market is also well known for its traditional hand crafted goods such as flax embroidery and other goods made by wood carvers, stonemasons and gold smiths. Unlike most Christmas Markets the Gendarmenmarket Chrstimas Market charges a small 1 Euro Admission fee (kids under 12 are free). This keeps the market open on Christmas Eve and also allows the market to continue until New Years Eve when a special event is held. With over 2 Million visitors a year the Kaiser Wilhelm Memorial Church Christmas Market is one of the most popular Christmas markets. With an annual 20 meter tall Christmas tree and many of the booths made out of wood and lit up with Christmas lights the market has a true holiday atmosphere. It features 170 booths with everything from food and drinks to decorations and toys. You will find nearly anything you are looking for while being absorbed in its unique atmosphere. The Christmas market at Potsdamer Platz combines with what is called “Winter World” is a celebration of wintery things. 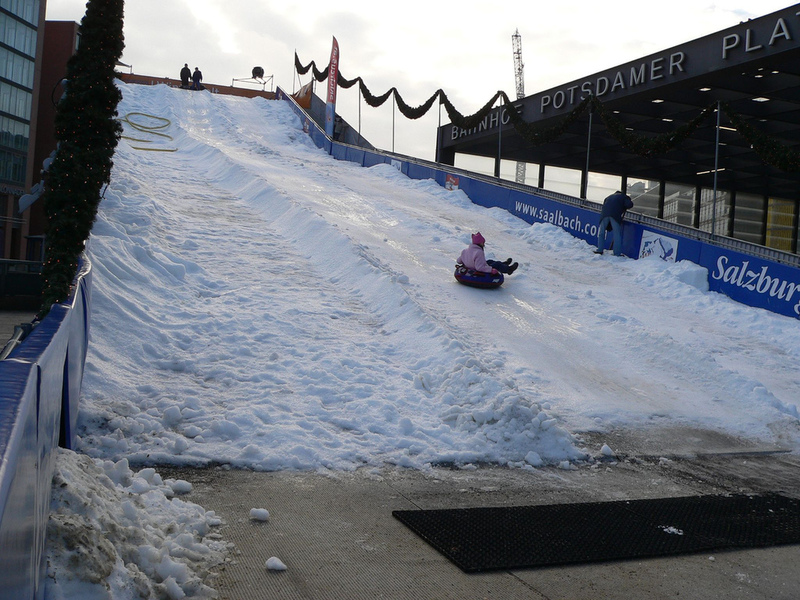 There are the standard food an beverages but it also features a 500 square meter skating rink, Europe’s largest mobile toboggan run, which measures a generous 12m (~40 feet) as well as other rides and activities. There are dozens of other Christmas Markets in Berlin and hundreds across Germany but here are a few others to consider: Alexanderplatz Christmas Market, Rotes Rathaus Christmas Market and the Lucia Christmas Market at Kulturbrauerei.